The Asian defence News Blog: Indian Army Get 4 Indigenously Nishant Unmanned Aerial Vehicles UAV's. Indian Army Get 4 Indigenously Nishant Unmanned Aerial Vehicles UAV's. After completing successful flight trials in Rajasthan, Indian Army recently took delivery of four indigenously designed and developed 'Nishant' Unmanned Aerial Vehicles (UAV). "Nishant has successfully completed the series of confirmatory trials conducted by the Indian Army at Chandan Range in Pokharan recently before (the Army) taking delivery of a set of four UAVs together with ground systems," DRDO officials said here. To be used for battle-field reconnaissance in day and night, surveillance, target tracking and correction of artillery fire, the DRDO-developed UAV can also be utilised for anti-insurgency operations. The electro optical, electronic intelligence and communication intelligence payload on-board the UAV make it suitable for a range of operations both during wartime and counter insurgency operations, they said. The Nishant is capable of being launched from a hydro pneumatic launcher, without the need of a runway. 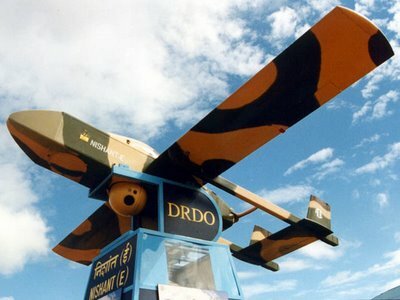 The UAV can be controlled by 'Ground Control Systems' mounted on Tatra vehicles, DRDO distinguished scientist Prahlada said. 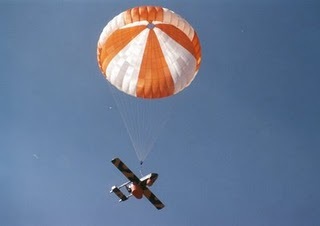 With an endurance level of four and a half hours, Nishant is designed for safe recovery from a desired place with the help of parachutes. Along with the regiments which would be operating the UAVs, the confirmatory flight of the UAV were witnessed by the Director General of artillery Lt General Vinod Nayanar and Director of Aeronautical Development Agency P S Krishnan. Nishant has been designed and developed by DRDO's Aeronautical Development Establishment (ADE), which specialises in developing UAVs, flight control systems and simulators in association with other labs.